The Lockheed C-130 is a four-engine turboprop aircraft that has been in production longer than any other military aircraft. For over 50 years, pilots have praised it as one of the most versatile aircraft in the service. The Korean War began in June of 1950, and it was quickly determined that the World War II-era transports simply weren’t up to the job of supporting modern military operations. The United States military commissioned the creation of a new transport that would be designed as a combat transport aircraft from the ground up. Prior to this, most military aircraft were retrofitted from passenger aircraft designs. This aircraft first entered production in 1954, and was initially slated to be a troop and cargo transport. It was designed with unimproved runways in mind, and could take off and land in tough terrain. The first aircraft were delivered in 1956 to the 463rd Troop Carrier Wing at Ardmore AFB. 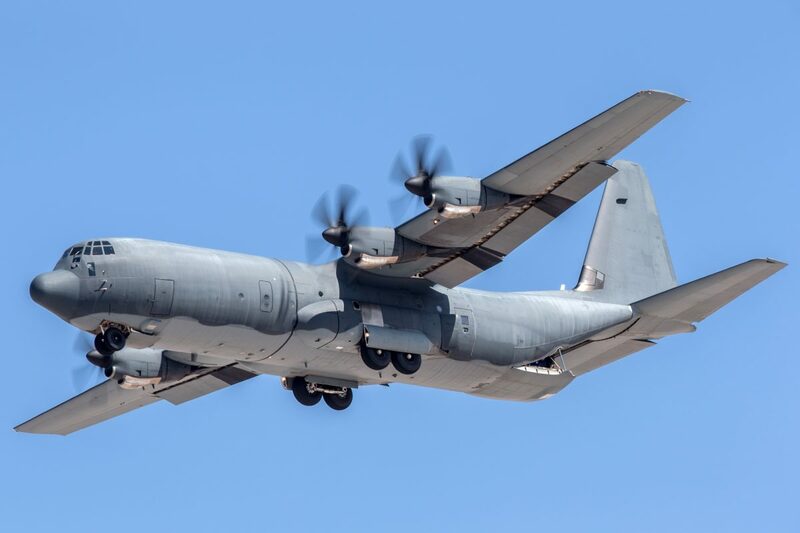 The C-130’s turboprops were powered by a new Allison T56 turboprop power plant that was developed exclusively for this carrier. Turboprops were a new technology at the time, and offered greater speed and range. Dozens of variations of this aircraft have served in over 70 countries, logging 1.2 million hours in the air. The Lockheed C-130 has also served many roles since it first entered service – far beyond its initial purpose as transport. It’s been used as a gunship, search and rescue aircraft, aerial refueling craft, and taken on maritime patrols, weather reconnaissance missions, and now serves as a tactical airlifter for militaries around the globe.